SCVHistory.com FF7001 | Tataviam Culture | Mary Louise Garcia (1928-1999). 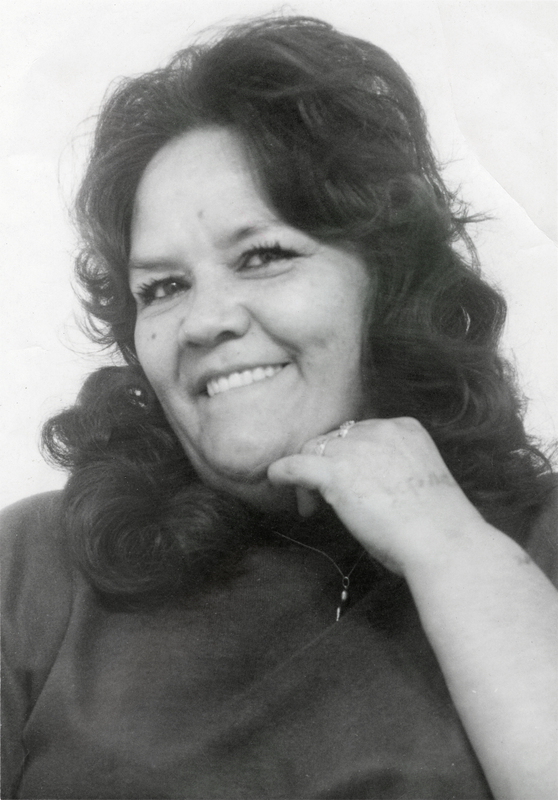 Mary Louise Garcia (February 16, 1928 - May 12, 1999). A daughter of Chief Mary Cooke Garcia (1901-1975) and Louis Garcia (1884-1973). Married Harold Romero. Ten(?) children: Elenore Marie Romero, Hearaldine Romero, Ernestine Louise Romero, Geraldine Lee (Jeri) Romero, Augustus Louis Romero, Joanne Jane Romero, John James Romero; Michael Anthony Cooke; Mary Elizabeth Boynton, Dannette Ann Boynton. Mary's (each Mary's) ancestry can be traced to individuals who lived in the Santa Clarita Valley prior to European contact in 1769. FF7001: 9600 dpi jpeg from smaller jpeg courtesy of Geraldine Romero Perez.